This spell summons a spirit bird from the planes of Law to guide the caster and anyone within its influence to the nearest temple of a Law-aligned deity and cannot be dismissed until this task has been completed. While under the influence of the Albatross, the caster and all those within its influence will not come to the notice of any creatures, will not trigger any traps, and will not suffer the effects of terrain, weather, or bodily needs. However, for every three rounds the Albatross is summoned everyone within its influence, save the caster, must make a saving through with an increasing -1 modifier per saving throw round. 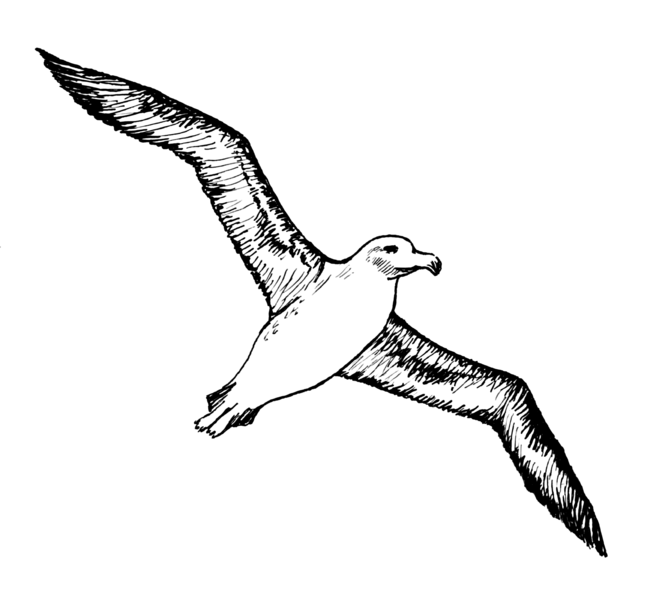 If the saving throw is failed those who failed must immediately attack the Albatross (AC 9). When attacked the Albatross will disappear forcing those that were under its influence to suffer all effects, attacks, etc that they avoided while under the influence of the Albatross.